On the heels of a summer filled with ice cream and rose (worth it! ), Labor Day marks an unforgiving snap back to reality. A detox is much needed for a fresh start to fall. But be careful: Most detoxes are just calorie deprivation diets in disguise. Calorie deprivation is not only unhealthy, but it is also not conducive to an active, on-the-go (or on-the-bike) lifestyle. 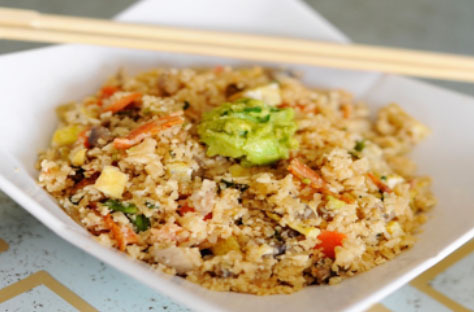 Check out these simple clean eating meals that will help kick-start a healthier lifestyle. This breakfast of champions is jam-packed with detoxifying qualities. While carbs always get a bad rap, whole grains are low in fat and abundant in vitamins and minerals. They’re also incredibly high in insoluble fiber. If you’re trying to flush the body of toxins, the last thing you need is to be bloated. 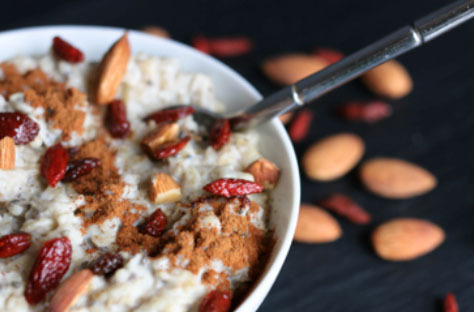 Opt for steel-cut oats, which are one of the least refined forms of oats, and replace raisins or dried fruit, full of added sugar, with nutrient-dense Goji berries. They’ll boost your vitamin C and beta-carotene intake, which can help remove waste from your body and improve liver performance. And add some cinnamon, which is known to boost metabolism and make everything taste better! Tip: Pair this oatmeal with a cup of green tea, which increases the production of detoxification enzymes. It’s no surprise that salads are a healthy lunch option and easy to whip together. This salad in particular, is loaded with detoxifying agents. Kale is full of anti-oxidants, vitamins and minerals. As if that isn’t enough, it also has anti-inflammatory properties. 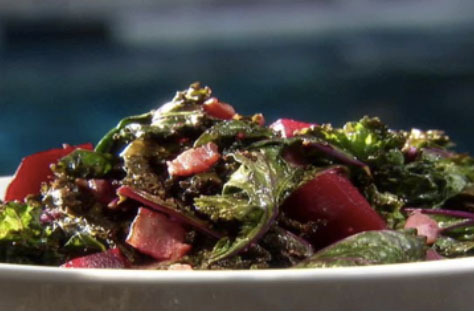 Top this bed of kale with beets and avocado and your detox is in full swing. Beets are often referred to as a super-food because they are high in fiber, antioxidants, and vitamins A, B and C. Avocados are also packed with nutrients, and their high fiber count will eliminate toxins from the body. Tip: Avoid salad dressings that can easily pack on the calories. Instead, dress this salad with olive oil, lemon, salt and pepper. Lemons are a great source of Vitamin C, which will help the body detox and burn fat. Think stir-fry can’t be healthy? Think again. With the proper ingredients, this veggie medley is the perfect end to your detox day. Cabbage is a great base, as it is known for its liver cleansing properties. Add in watercress and seaweed, or other sea vegetables, like kelp, to kick this meal into high gear. Watercress is a natural diuretic and seaweed is full of iodine, which is a natural-metabolism booster. Tip: Season your stir-fry with ginger and garlic. Not only will it taste great, but also adding ginger to your diet can spike your metabolism and flush out waste. You can check out more meals and healthy eating tips from Sarah at Made Simple by Sarah. 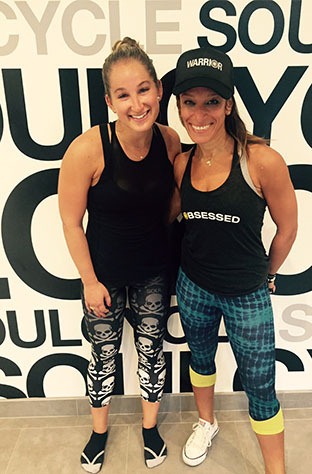 Catch classes with AMANDA at SoulCycle Bryant Park, SoulCycle East 63rd Street and SoulCycle Rye Brook. Grab a series HERE and book a bike! Questions or comments? Email blog@soul-cycle.com!